Traumatic perforation of the tympanic membrane may result from barotrauma (water skiing/diving injuries, blast injuries, blows to side of head), ear canal instrumentation (cotton-tipped applicators, bobby pins, paper clips, cerumen curettes), or otitis media (see earlier discussion). The patient usually complains of acute pain that subsides quickly, associated with bloody otorrhea. Severe vertigo can occur but is transient in most cases. Persistent vertigo suggests inner ear involvement (perilymphatic fistula). 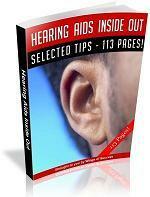 Hearing loss and tinnitus are also common. Findings may include fresh blood in the canal and around the perforation. Any medial canal clots or debris should not be removed or irrigated except under microscopy. Secondary bacterial infection may require treatment with ototopi-cal antibiotics. Topical fluoroquinolones are safe for use in the middle ear. Audiologic evaluation is necessary to rule out sensorineural hearing loss. If a tuning fork examination indicates sensorineural hearing loss or is unreliable, the patient should be referred for complete audiologic and ENT evaluation. In uncomplicated cases the perforation is expected to heal spontaneously over days to weeks. The patient should be instructed to keep the ear dry during this time. If the perforation has not healed after several weeks, a tympanoplasty to close the perforation and, if necessary, repair ossicles is indicated. Repair of the perforation may improve hearing, reduce infection, and prevent cholesteatoma formation.